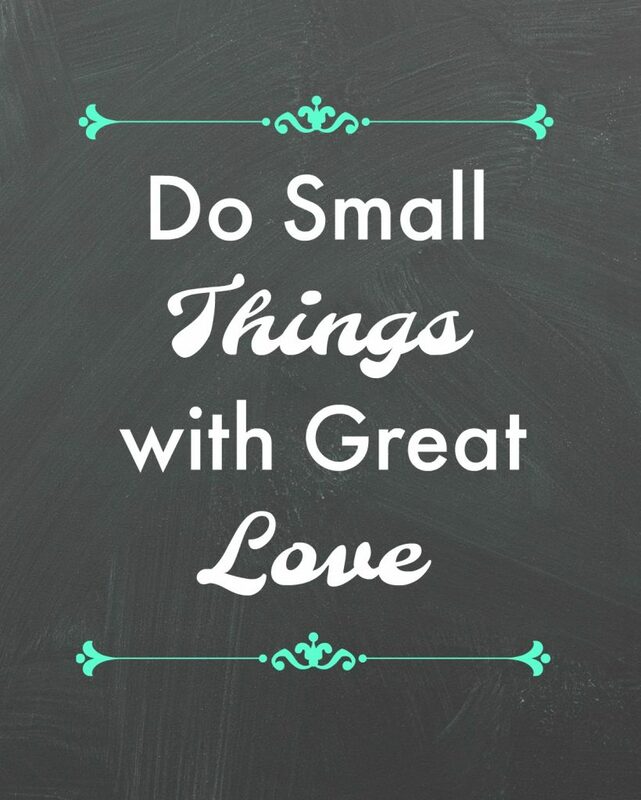 Do Small Things with Great Love printable is a great reminder to serve and love others. This is the 26th printable in the 31 Days of Free Printables series. I’ve always been taught that it doesn’t take much to brighten someone’s day. Also that it’s much easier to service someone if you get to know them. I made this as a reminder to get to know people around you and serve them with love. It can be as simple as a note or message of encouragement, doing a simple chore, help with carpool, and anything within your own home. Doing small things for family members reminds the whole family to serve and love each other. Print it out and place it in the mudroom or by the door where family members will see it and be reminded daily.